I am of the geeky generation that grew up watching Star Trek: The Next Generation (TNG) and find that to be the best series of the bunch. Although, I should also point out that I am one of the few who enjoyed the Enterprise series as well. Star Trek: Deep Space 9 seems to have never resonated with the Star Trek faithful quite like some of the other series in the franchise. At the same time, it was by no means a failure having ran for 7 seasons. Ira Steven Behr, former executive producer of DS9, is putting together a documentary on the series with an interesting twist. While like any other documentary on a television program, it will have interviews with the former cast, crew and fans, he has also gotten the original writers back together to write a season premiere for a mythical season 8 of the show. 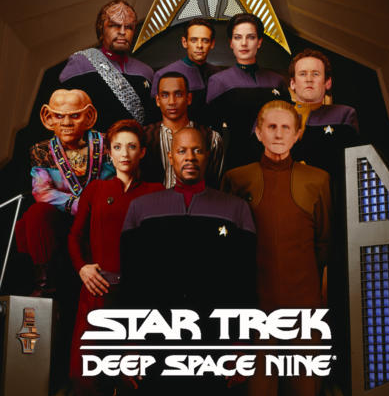 While all the other series focused on adventures the crew had traveling from world to world, Deep Space 9 (DS9) took much more of a long developing, character focused, soap opera approach. These stories were typically more drama focused with less action. This format works well on television today thanks to programmable DVR’s, On Demand and Netflix binging, but not at the time of DS9. With TNG, Voyager, Enterprise and the original series, the episodes we mostly self contained stories with 2-part season ending “cliffhangers”. This format required less of a commitment by the viewer and was easier to watch. Would DS9 have performed better with today’s audience viewing habits as opposed to the mid 1990’s? It will be interesting to see how this documentary handles that and other questions about the series. The documentary DS9: What we left behind (a play on the title of the series finale What you leave behind) will be directed by Leonard Nimoy’s son Adam. It is still listed as “pre-production” on IMDB, but Behr has said he plans to have it available for a Winter 2017 release. Mashable.com as a more in depth article available HERE.